There are 3 main automatics which are all Yamaha Nouvos. A Nouvo 1, 2 and 3. 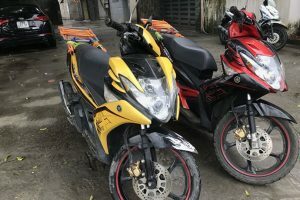 Yamaha Nouvo 1 – This is the smallest and weakest of the Nouvos and for this reason is not recommended for travelling or if you are living in a city for a long time. 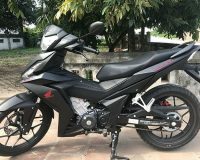 It is okay either for a short rental, if you are living in a city and won’t use it much or if you are heading south at a slow pace and don’t intend to leave the main road much. Yamaha Nouvo 2 – This is the next step up in the Nouvos and is a much better bike. 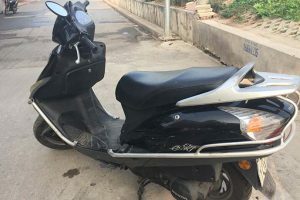 If you are travelling for a short amount of time to the south then this bike will be okay to buy or if you are living in a city and will only not be leaving the city with it. 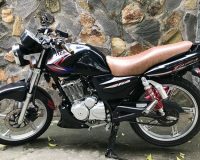 Yamaha Nouvo 3 – This is the best Nouvo and is the best of the automatics, it is a much stronger and more reliable motorbike. 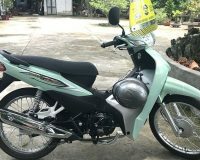 It is recommended to buy this bike for travelling or if you are living in a city and will be using it regularly.